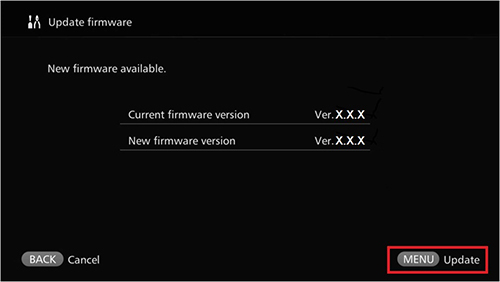 This firmware update is for Connect Station CS100 with Firmware up to Version 2.5.1. Movies larger than 4GB captured with the EOS-1D X Mark II cannot be imported to the CS100 using a wired connection. 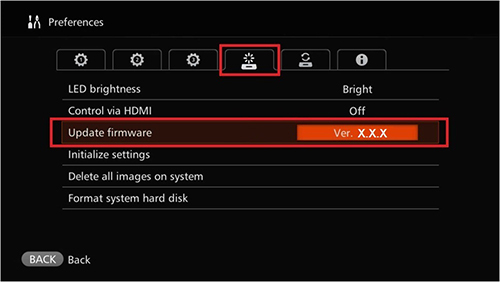 Please use a memory card to transfer such movies. Do not turn off the power of the CS100. Do not lift up or move the CS100. Do not operate the Remote Control CS-RC1. * For details on how to connect the CS100 to the Internet, please see the user's manual. Press the button on the remote control, and check whether [ ! ] 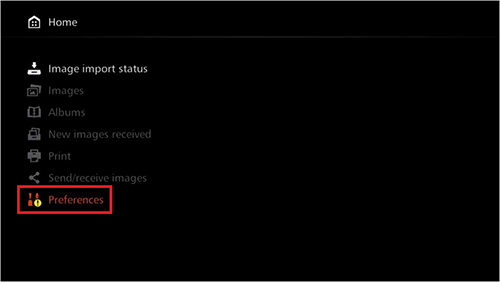 appears over the "Preferences" item, and if so, select the "Preferences" item, and then press .